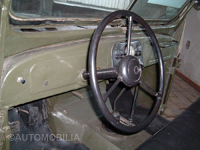 In the interwar period, the USSR assembled Ford Model A cars and trucks under licence. 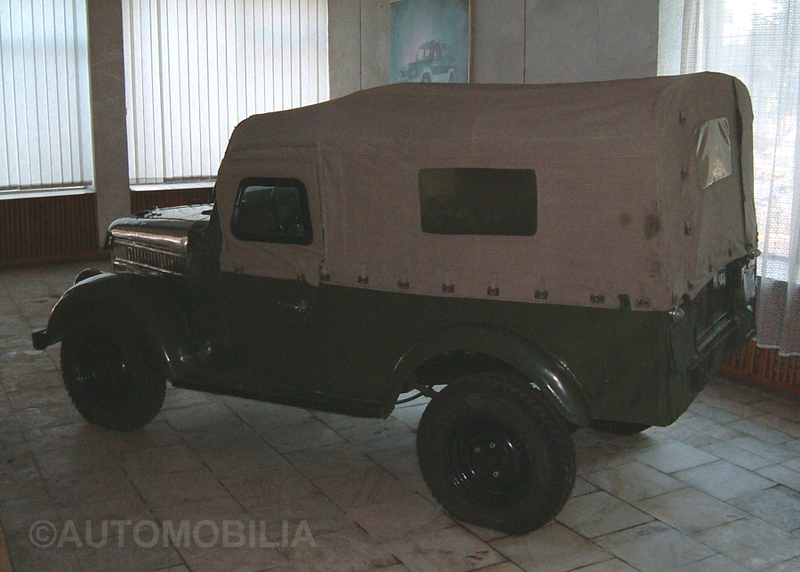 After the outbreak of war, in August 1941, the Gorky factory started building a 4x4 vehicle, GAZ 64, on the GAZ A platform. This was made in several versions: “64” (1941-42 in 684 units), “67” (1943-44) and “67B” (1944-53), in a total of 92,843 units. From 1953 to 1972, a modernized version, the “69”, was produced in 634,256 examples. When compared to its previous versions, the GAZ 69 had a smaller engine capacity (2112 cc as opposed to the 67’s 3285 cc). This engine was derived from the Molotov six-cylinder engine, itself a copy of the Dodge engine received by the Soviets as war aid from the USA. 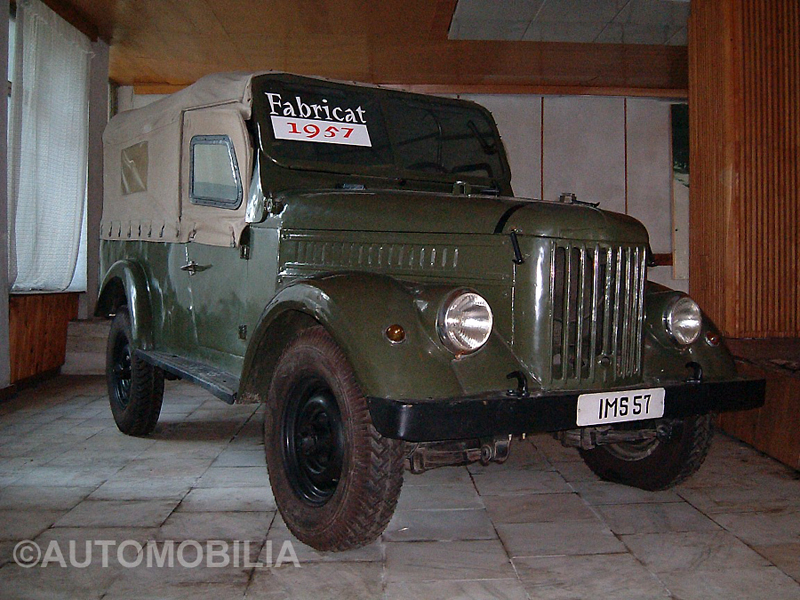 Romania, under the Soviet sphere of influence after the Second World War, had been forced to give up manufacturing Ford vehicles under licence, and the only official imports came from the USSR. The most frequently seen vehicle in 1950s Romania was the GAZ M20 “Pobeda”, (1946 – 58), which was used by the state and its ministries. 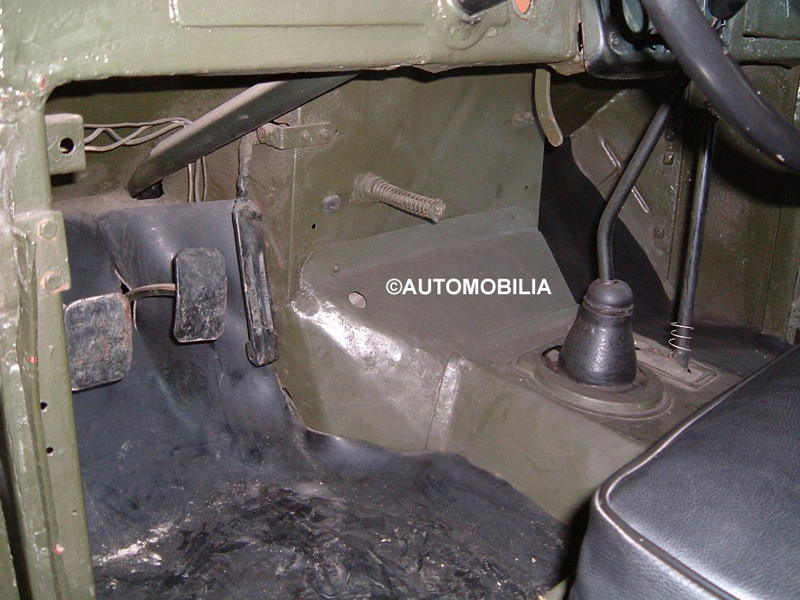 However, the Ministries of Defence and the Interior opted to use the GAZ 69 – a sensible idea given the state of Romanian roads. 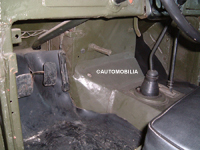 The State Metallurgical Enterprise (Interprinderea Metalurgica de Stat) in Campulung began to produce spare parts for the two vehicles; broadly speaking, they used the same technical platform. As the number of parts produced began to increase, integral parts such as engines and gearboxes could be produced. From this it would only be a short step towards the production of vehicles in 1957. It was thus, in 1957 that the IMS 57 car appeared. It was named after the initials of its factory and its year of launch. At that time, there was no problem of licences between two Communist states; the USSR probably came to regret this, as Romania was seen to have restarted the vehicle production which had started in the 1920s at the MARTA plant in Arad and continued in the 1930s at the Ford plants in Bucharest. The beginnings, however, were riddled with problems: the Campulung factory had been hastily opened in the middle of war to accommodate a few sections of the IAR Brasov factory which wanted to work in secret and further away from the bombings. The technology of the factory was rudimentary to say the least, and hardly any of the personnel had much higher education. 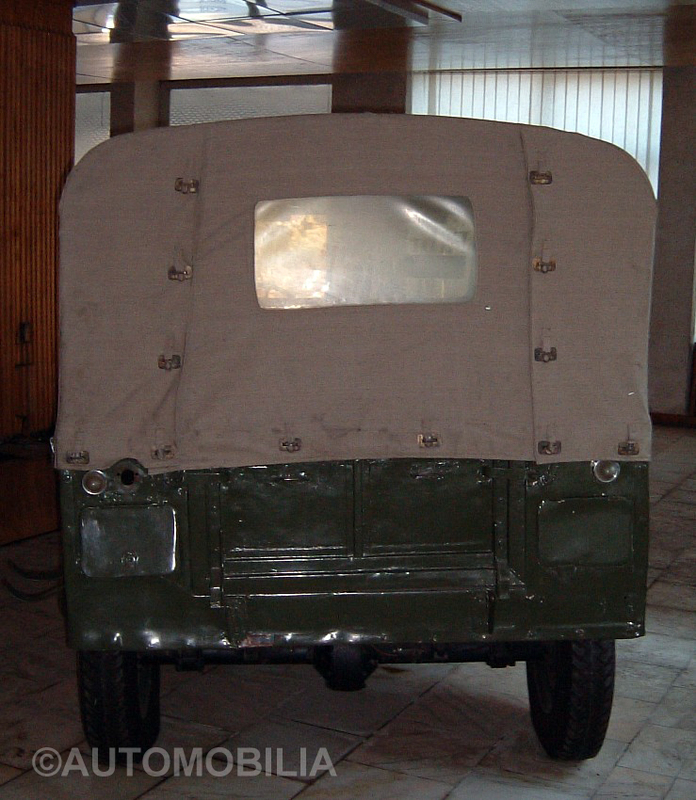 The first car bodies were built manually, hammered on tree trunks by the welders Grigore Negoita and Gita Holbosan. In 1957 154 units were produced; in 1959, 760. Although production for 1958 is not known, we do not think any more than 1,000, meaning that the total production was around 2,000 units. The car was equipped with a “MAS” engine with four in-line cylinders, a capacity of 3260 cc, developing 50 HP at 2800 rpm. The top speed was 80 km/h (50 mph) with the consumption being 24l/100km (roughly 10 mpg). The total weight was 2265 kg, with the maximum load weight being 650 kg. The car’s technology appears primitive to today’s eyes: an engine with lateral valves, a 4,6 compression ratio, a three-bearing crankshaft and a cast iron camshaft, leaf-sprung shock absorbers and manually operated windscreen wipers. In 1957 and 1958, the rolling chassis, dubbed “satellites” by the locals, would undertake the rather bizarre journey from Campulung to the “Vasile Tudose” (soon to be renamed “Dacia”) factory in Colibasi, to be fitted with running gear, as the required technology at Campulung had not yet been provided. The chassis, motor, mechanicals and gearbox of IMS 57 are practically identical with those of GAZ 69. When compared to the later models, however, the bodywork is slightly longer and the spare wheel is placed at the corner of the left rear wing. 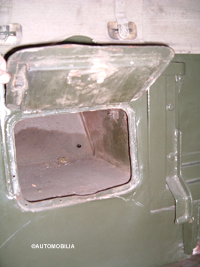 The storage compartments in the rear inner wings are accessed from the outside. The differential is on the right, whereas on the later models it is on the left. 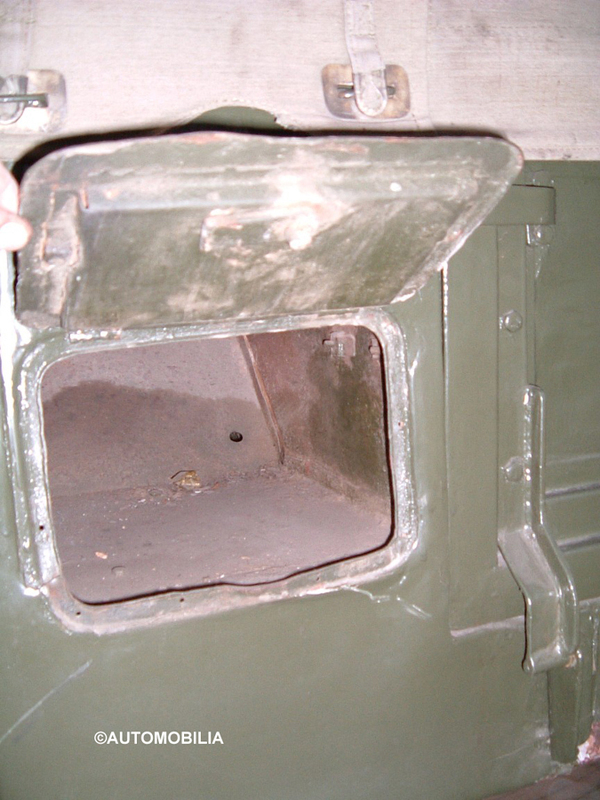 The lower part of the grille has one hole for towing. There is a split windscreen, and the side windows are held in using canvas; the front passengers sit on a bench. The instruments are in the middle of the dashboard, and, as in pre-war cars, they are illuminated by exterior lights. 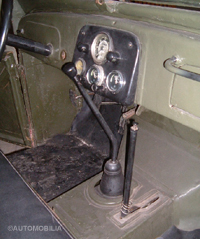 The car is started by pressing a centrally positioned pedal, and the chassis’s rear end is curved. The idea that IMS 57 is merely license-built GAZ 69 has long been common currency. However, this is incorrect: the idea was to produce spare parts, and, alongside the relaxation of Romanian-Soviet relationships, Capulung decided to build its own cars. 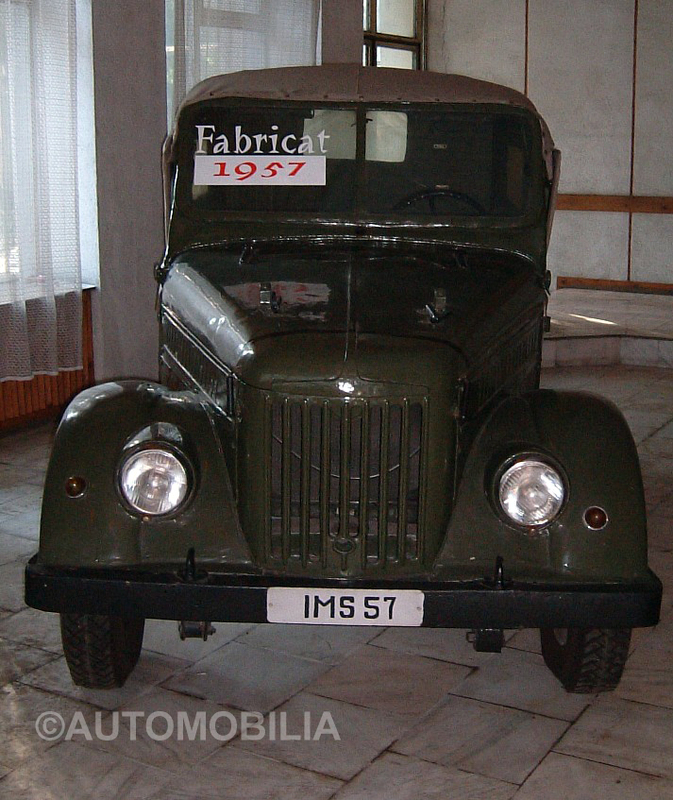 Of course, IMS 57 can hardly be described as an original creation, a product of Romanian engineering skill or any other such propaganda: it is not, but neither is it a GAZ assembled under licence. For example, GAZ gave up using the engine which powers IMS 57 in 1953, the last year of GAZ 67 production. 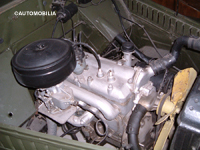 The Soviets, therefore, had kept the more advanced Dodge engine for themselves, allowing Romania to build a Ford engine which Ford had given up building in 1933, replacing it with their legendary V8. The seemingly modern practice of selling end-of-line models to less industrialised countries was evidently in existence then, with Romania receiving from Russia what Russia had bought from Ford. And, as now, car manufacturers followed what the market wanted, in design, in technology and in equipment. 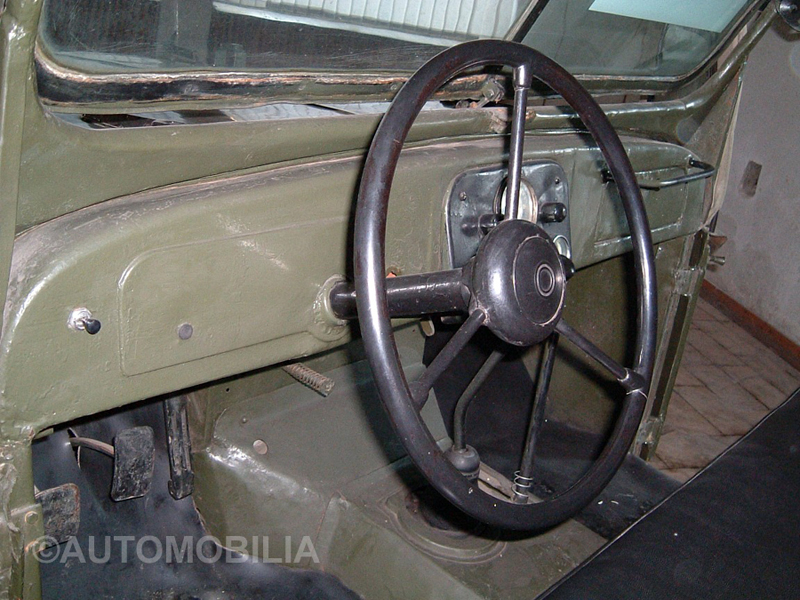 Romania wanted to build an off-road vehicle and already had imported numerous GAZ 69 vehicles which had proved very reliable; this is why the GAZ bodywork was considered ideal, and why the mechanical platform was found to be suitable. It must be noted that through further improvements ARO would gain superiority over GAZ 69 on numerous markets. From what we know, a single example has survived to this day. It is on permanent exhibition at the ARO plant. In 2006, rumours surfaced that this vehicle would be auctioned to help pay off some of ARO’s debts; the figure of 57,000 Euro was mentioned. In our opinion the sum would still be far too high without a zero on the end… The vehicle was restored in a fairly “rustic” style in the 1970s; some of the instruments are not original, while the rear lights and spare wheel are missing. 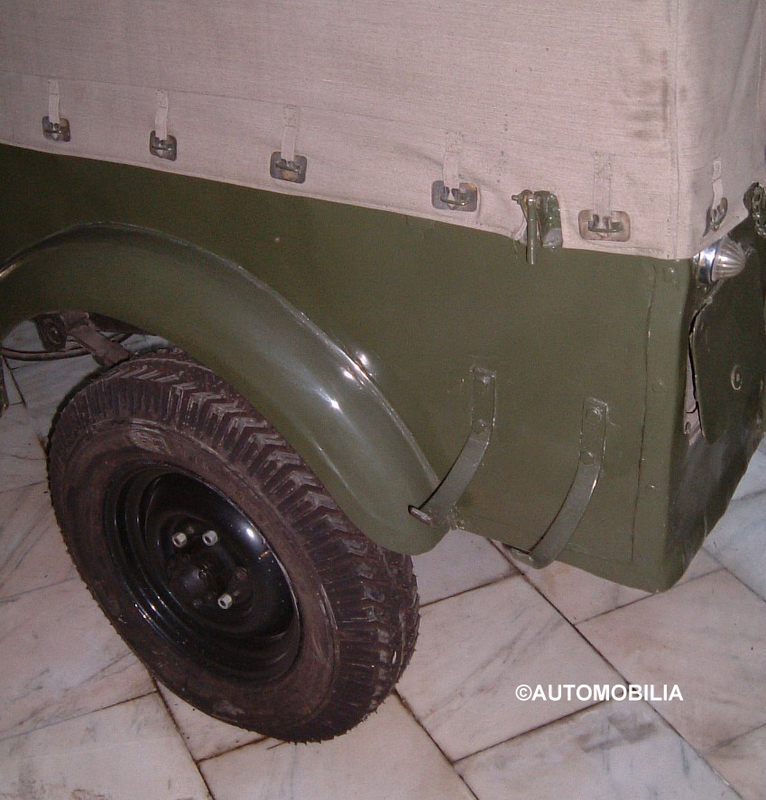 The canvas hood, wheels and tyres are also not original. 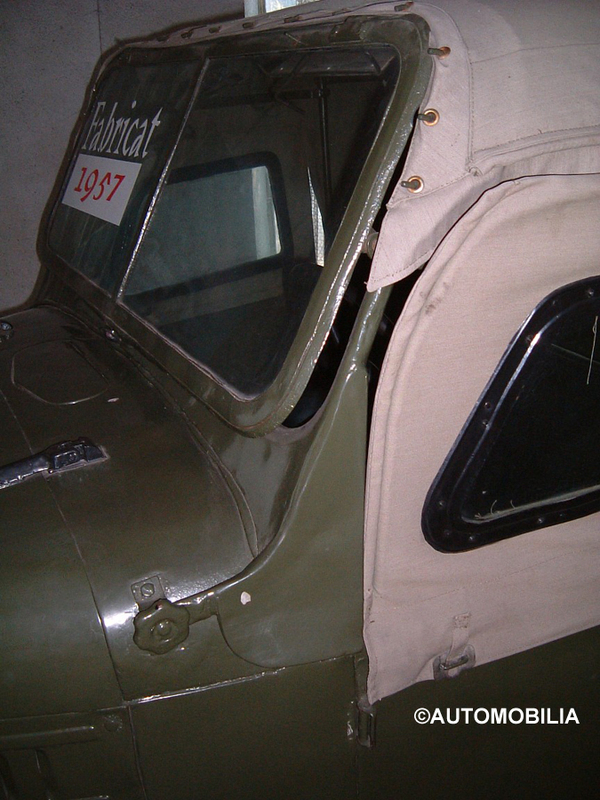 At least the car is more or less complete; the only surviving example of the 1953 M53 motorcycle, which keeps the IMS 57 company, seems to have lost its exhaust… The series number is 0001, although there is considerable controversy over whether the model was the first one actually made. 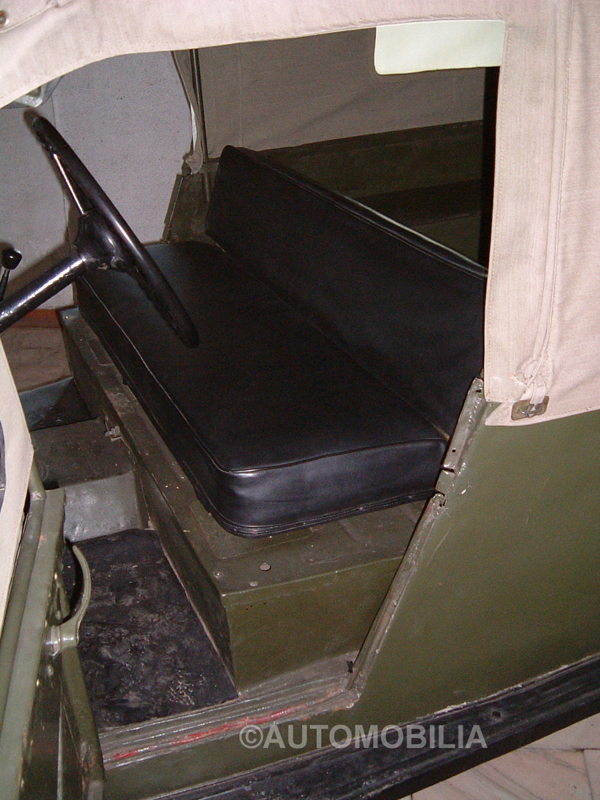 Veterans of the factory’s early days say that it was, and that it was kept by the factory and used, first in tests, and then to ferry workers around. 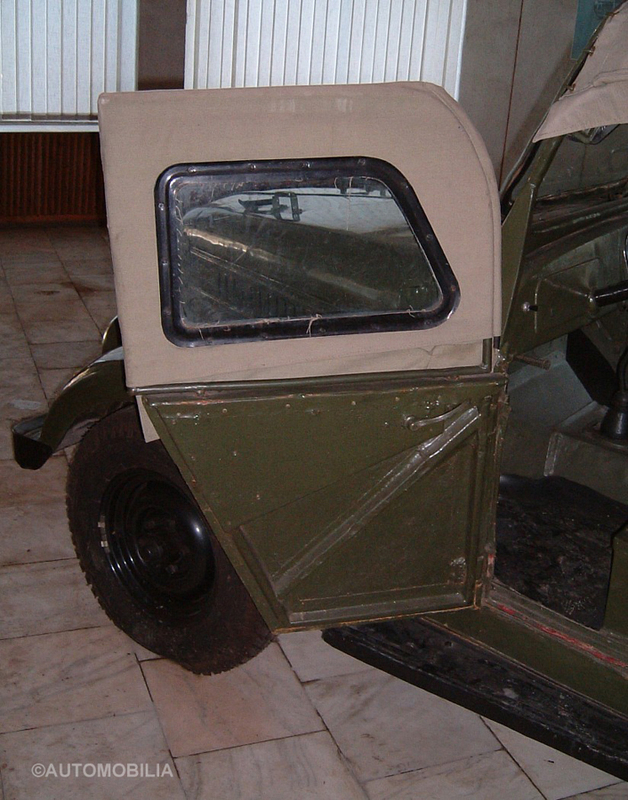 Presumably, in the 1970s the ARO directors discovered it was fashionable in the West to keep the first examples produced in a factory museum, and this particular IMS was recovered and “restored”, having covered over 1,000,000 km. Judging by its condition, it would not take much to get it back on the road. We hope that ARO itself will survive, and perhaps one day IMS 57, the production of which was replaced with M59 in 1959, will join us on parade!